AJP is a Java application that I developed with during my sixth year at the university. 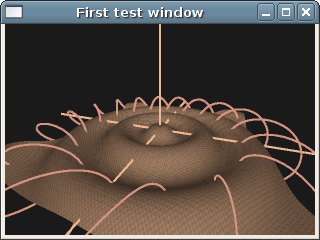 It allows to render 3D mathematical objects by writing very simple Java classes that are loaded dynamically. AJP combines the power of Java with the simplicity of its math-oriented API, allowing users with no experience of 3D programming to plot and animate 3D graphs in a matter of minutes. AJP version 1.0 can be downloaded here.